In conjunction with Linux Week, we have Professor Michael Brown with us! 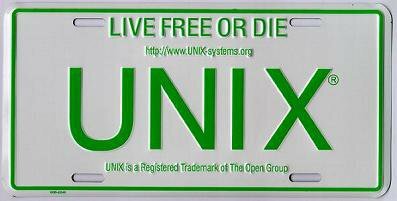 While Unix is best known as an operating system, the founding fathers of Unix developed it around an entire philosophy on how software should be developed. In this talk, Dr Brown will discuss the history leading up to the development of Unix as well as some of the underlying principles and practices that make up the Unix Philosophy. Michael S. Brown obtained his BS and PhD in Computer Science from the University of Kentucky in 1995 and 2001 respectively. He was a visiting PhD student at the University of North Carolina at Chapel Hill from 1998-2000. Dr. Brown has held previous positions at the Hong Kong University of Science and Technology (2001-2004), California State University – Monterey Bay (2004-2005), and Nanyang Technological University (2005-2007). He is currently an Associate Professor and Assistant Dean (External Relations) in the School of Computing at the National University of Singapore. Dr. Brown regularly serves on the program committees for the major Computer Vision conferences (ICCV, CVPR, ECCV and ACCV) and is currently an Associate Editor for IEEE TPAMI. Dr. Brown received the HKUST Faculty Teaching Award (2002), the NUS Young Investigator Award (2008), the NUS Faculty Teaching Award (for AY08/09, AY09/10, AY10/11), and the NUS Annual Teaching Excellence Award (ATEA) for AY09/10. His research interests include Computer Vision, Image Processing and Computer Graphics.